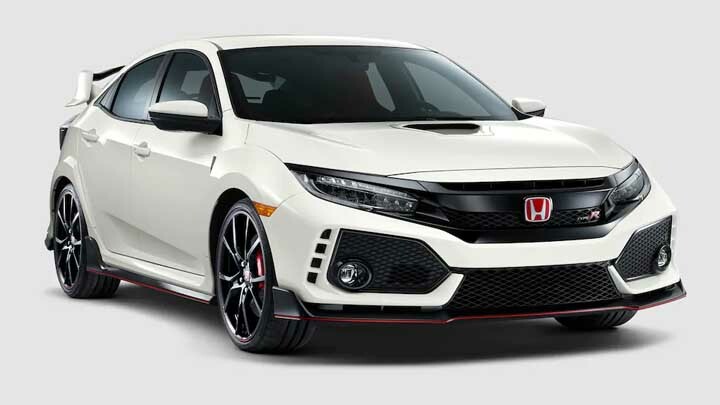 Route 22 Honda in Hillside, NJ is flying past the competition with the new 2019 Civic Type R. Come in to experience the Type R's 2.0-liter VTEC turbocharged engine that produces 306-HP and 295 lb-ft of torque. Now that's something to get excited about! When you're ready to experience all the new 2019 Honda Civic Type R has to offer, just reach out to any of our friendly sales associates and we'll set you up with a test drive that will leave you breathless over the new Civic! The 2019 Civic Type R is nothing if not powerful. As mentioned above, it packs a 2.0-liter, 306-HP engine with turbocharged torque. You'll also find a specially tuned, center-mounted triple outlet exhaust that roars when you unleash it on the open road. The all-aluminum chassis keeps the weight light so you can tear through Newark, NJ with ease. It's time to expect more from the interior of your ride. With the 2019 Honda Civic Type R, you can. You'll get heavy bolstered front seats with suede-effect fabric, race-inspired sports pedals and an aluminum shift knob to control the 6-speed manual transmission that keeps you in control of the beast. We know our friends in Elizabeth, NJ love to deck out their rides, and this is where the 2019 Civic Type R shines. You can add great, eye-catching features such as a carbon fiber wing spoiler, carbon fiber door mirror covers, illuminated door sill trim and so much more. Get personal with your Civic Type R.